This would probably be the only Barbie Doll that I would have in my collection! Anatomical Barbie is not the sort of doll a little girl would enjoy putting up in her dollhouse, unless the girl in question wants to be a surgeon some day. 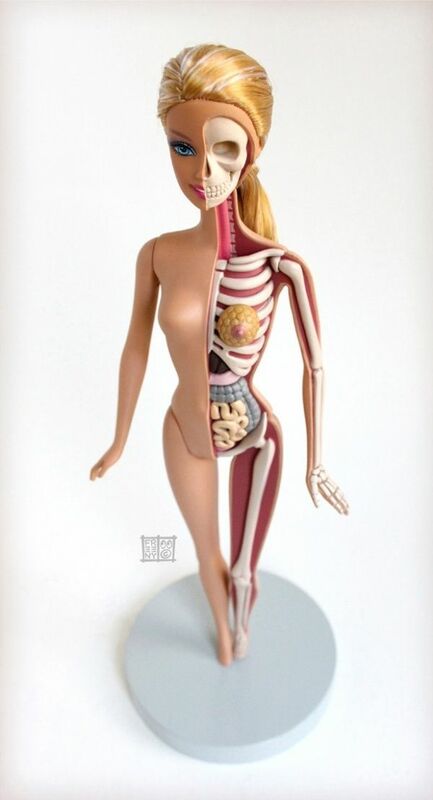 Created by artist and toy slicer Jason Freeny, it's all been exposed for the sake of seeing what makes Barbie tick, and I'll say one thing on her behalf- for a plastic doll she sure has a lot of guts!